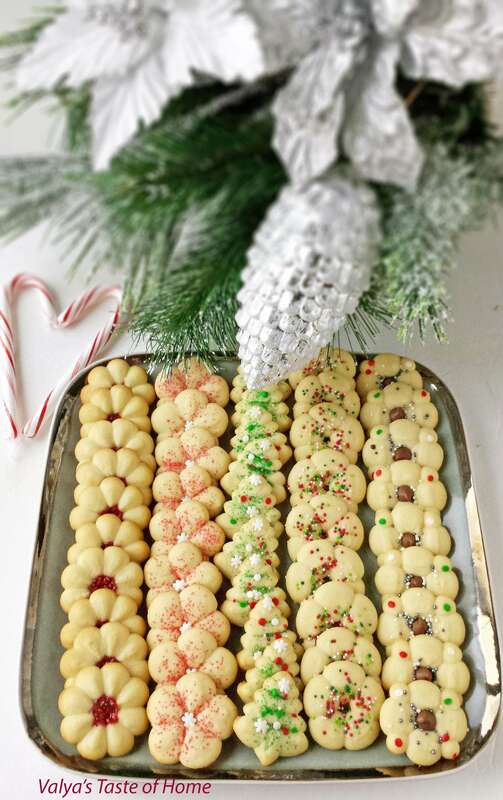 What holiday would dessert plate be complete without these incredible Christmas Spritz Cookies? These may be the most popular, classic Christmas cookies you’ll ever make. 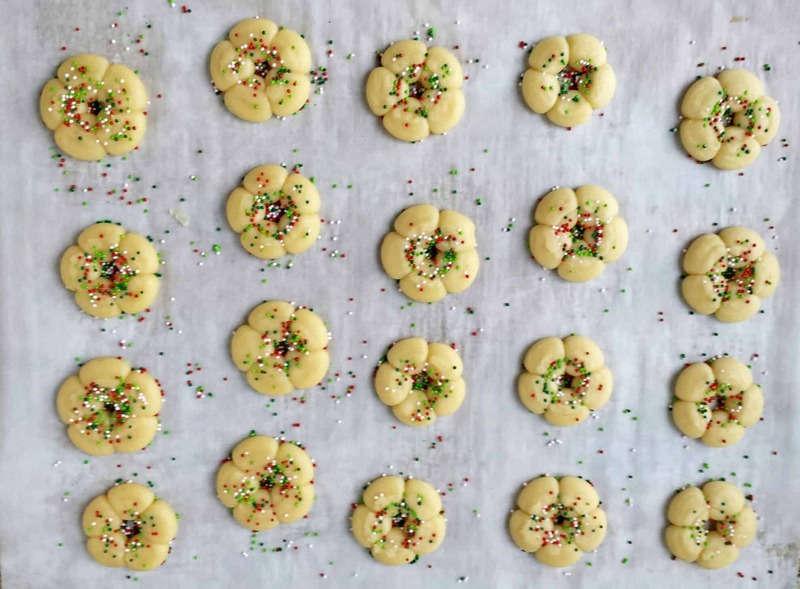 I have been making these Spritz cookies for years and they’ve become a traditional Christmas cookie recipe in our family. A family bake-a-ton turned event, where all my kiddos enjoy making them with me. We like to all gather up in our big kitchen, put on some Christmas music on which puts everyone in a Christmas mood, humming tunes and shaping all kinds of different shapes of these little cuties. 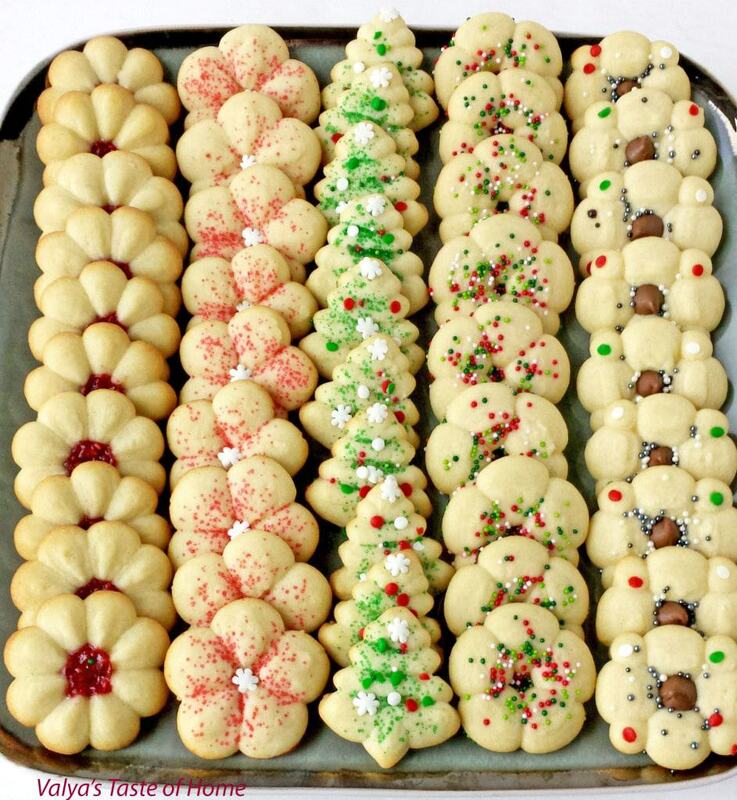 They are simply butter cookies, shaped with a cookie dough press. These cookies just simply melt in your mouth. Add a cup of ice cold milk, kick up your feet and there is no other way to enjoy a wintery, snowy day by the crackling fireplace. 1. Preheat oven to 375 F. Thoroughly cream butter and sugar. 2. Add egg, milk, vanilla and almond extract. Beat well until smooth about 3 minutes on high speed. 3. 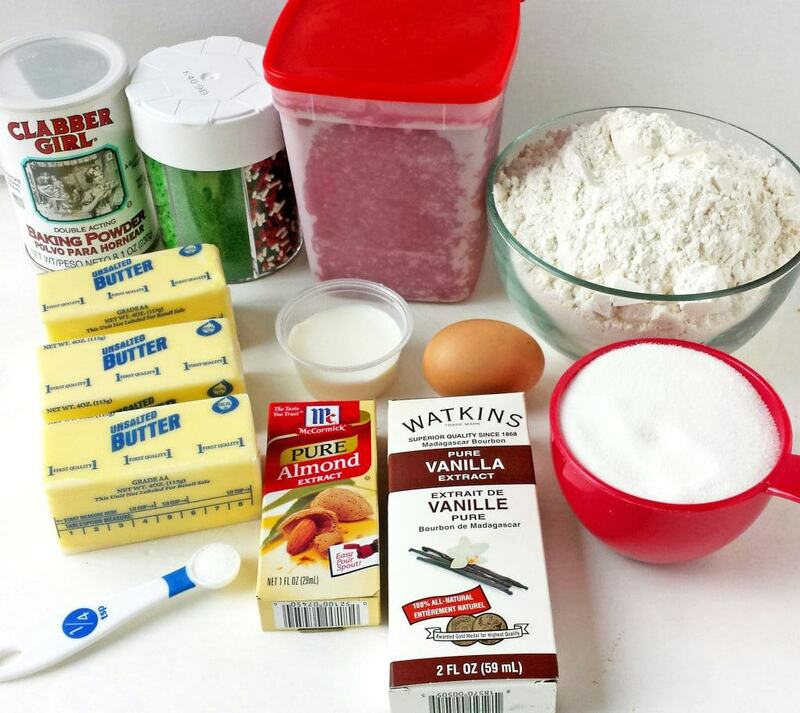 Stir together flour and baking powder. Sift it into the creamed mixture. 4. 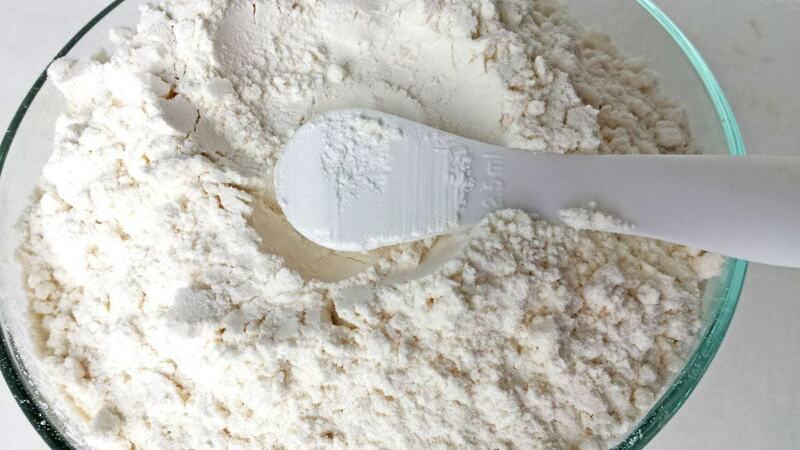 Stir on low speed until all flour combined and the dough will look smooth in texture. 5. Do not chill. 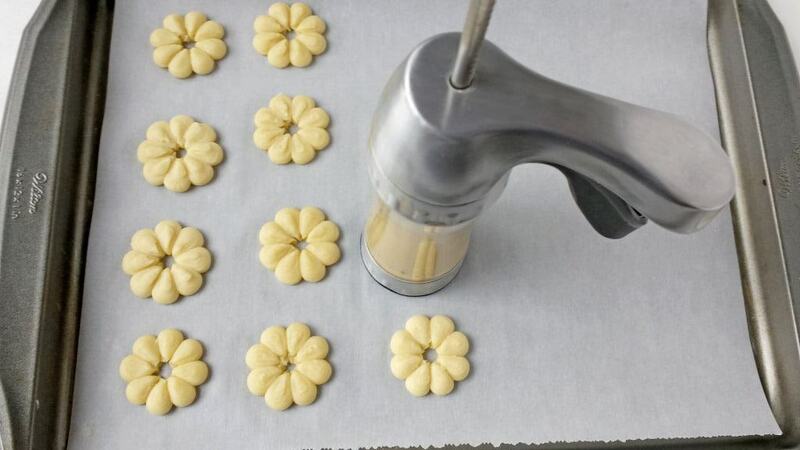 Place dough into Cookie Pro Ultra and press cookies onto a baking sheet lined with parchment paper. 6. Decorate them with No-Cook Raspberry Freezer Jam or Christmas sprinkles of your choice. Bake one batch of cookies for 8 minutes at 375 F.
7. 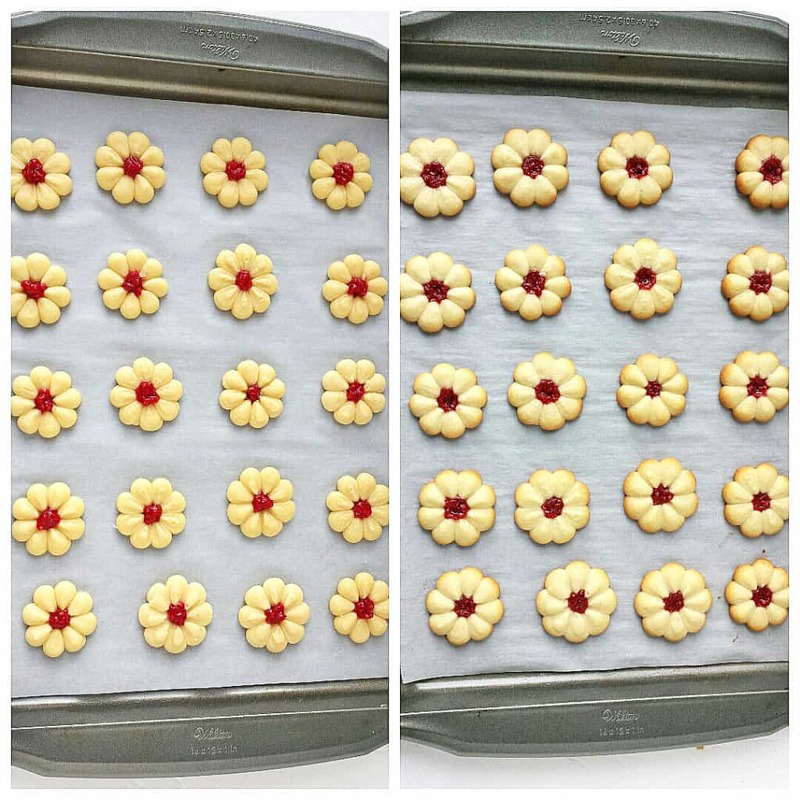 Let cookies cool on baking sheet for 5 minutes before removing them from the pan to cooling rack. Enjoy! Preheat oven to 375 F. Thoroughly cream butter and sugar. Add egg, milk, vanilla and almond extract. Beat well until smooth about 3 minutes on high speed. 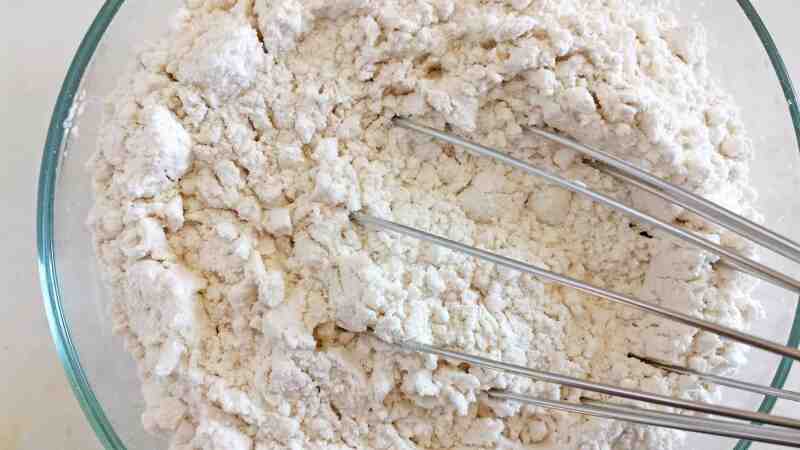 Stir together flour and baking powder. Sift it into the creamed mixture. 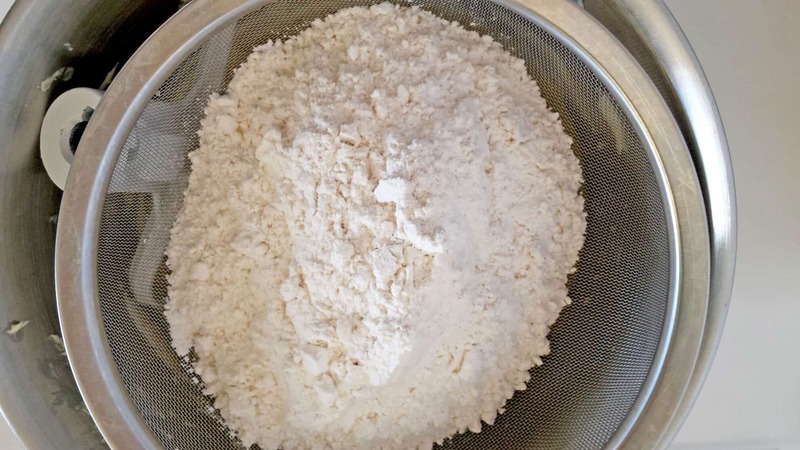 Stir on low speed until all flour combined and the dough will look smooth in texture. Do not chill. Place dough into Cookie Pro Ultra and press cookies onto a baking sheet lined with parchment paper. 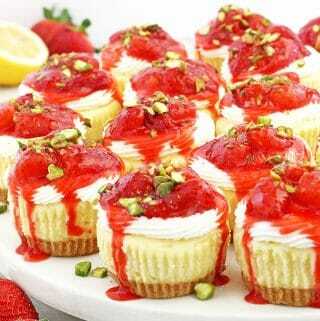 Decorate them with No Cook Raspberry Freezer Jam or Christmas sprinkles of your choice. Bake one batch of cookies for 8 minutes at 375 F.
Let cookies cool on baking sheet for 5 minutes before removing them from the pan to cooling rack. Enjoy! 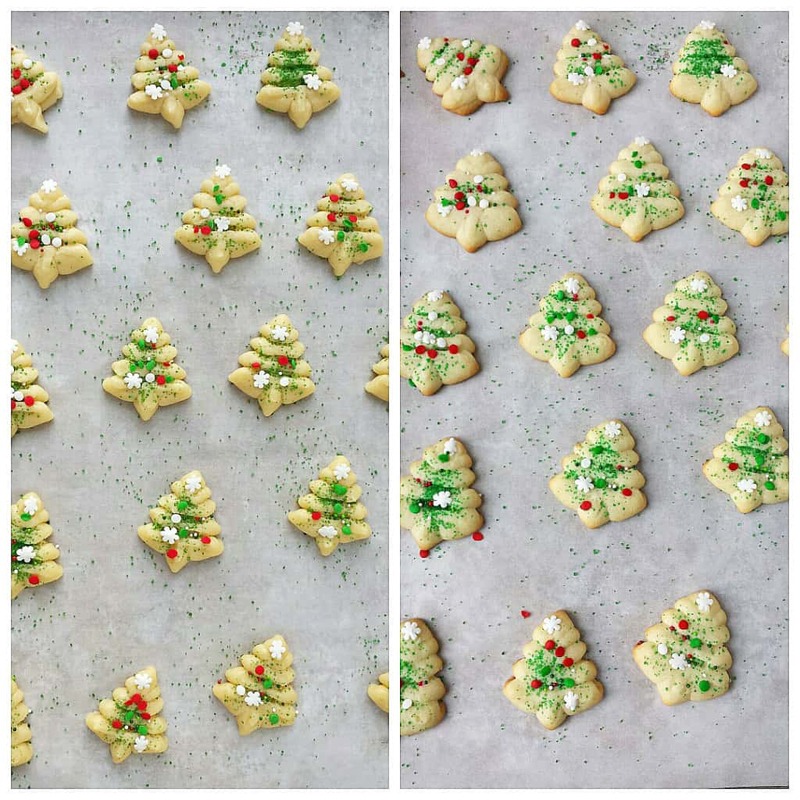 Don’t have Spritz Cookie Press? Simply press on the picture to order. Wow! Valichka, these cookies are a work of art. 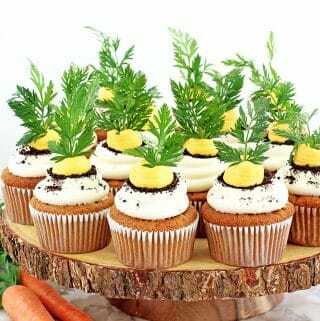 They look just to good to be eaten!! You are right! What is better than homade spritz cookies on a snowy wonderful day by the fire?! 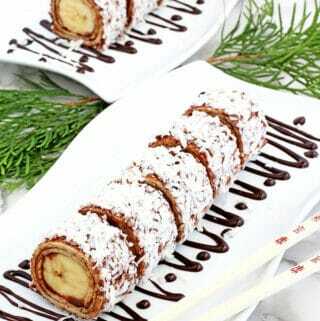 These cookies are so adorable Valya! 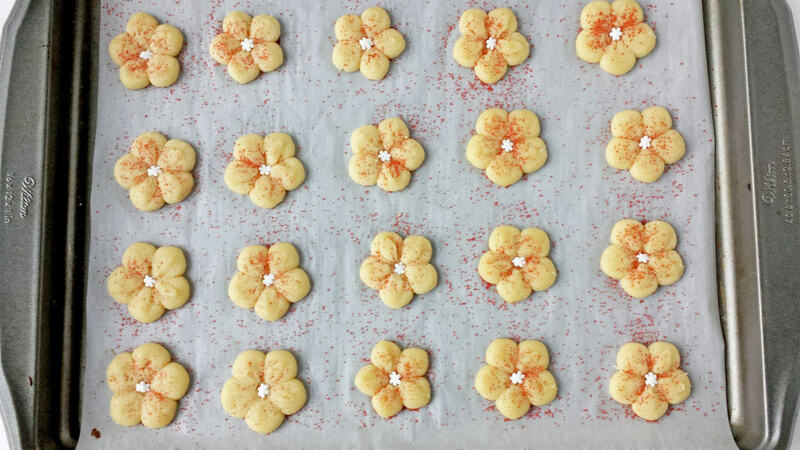 How cute, these spritz cookies look delicious! Love the raspberry jam, too! I love Spritz cookies. 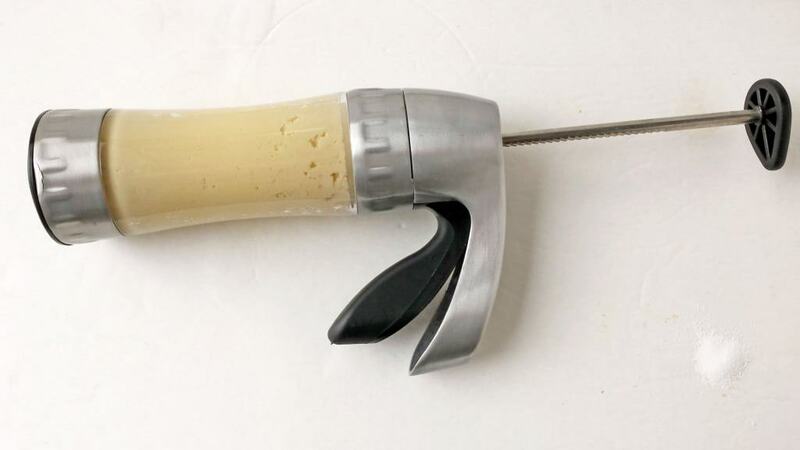 I used to own an old Spritz cookie press that my grandma used to own but it stopped working unfortuanly. I’ve been looking everywhere for one this season and I can’t find one.I meen a good one. My question is can this dough be used like roll out,cut-out cookie dough ? Thanks in advance for a reply. This dough is too soft for roll out cut out cookies. 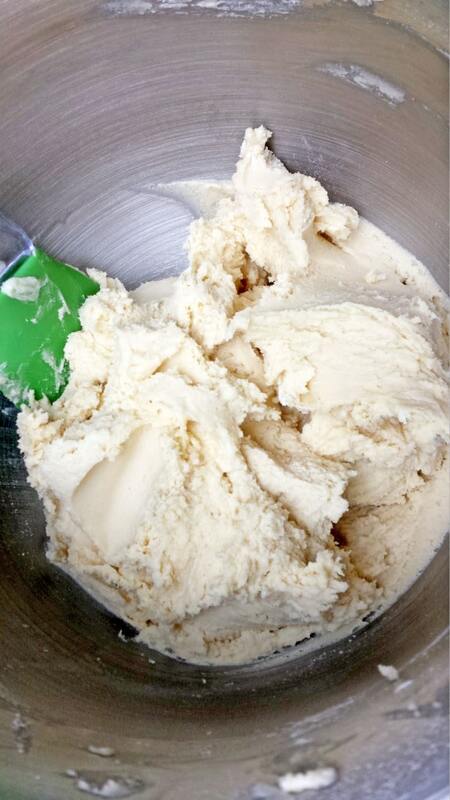 See my sugar cookie dough recipe for roll out cookies here https://www.valyastasteofhome.com/easy-homemade-sugar-cookie-dough-recipe/. 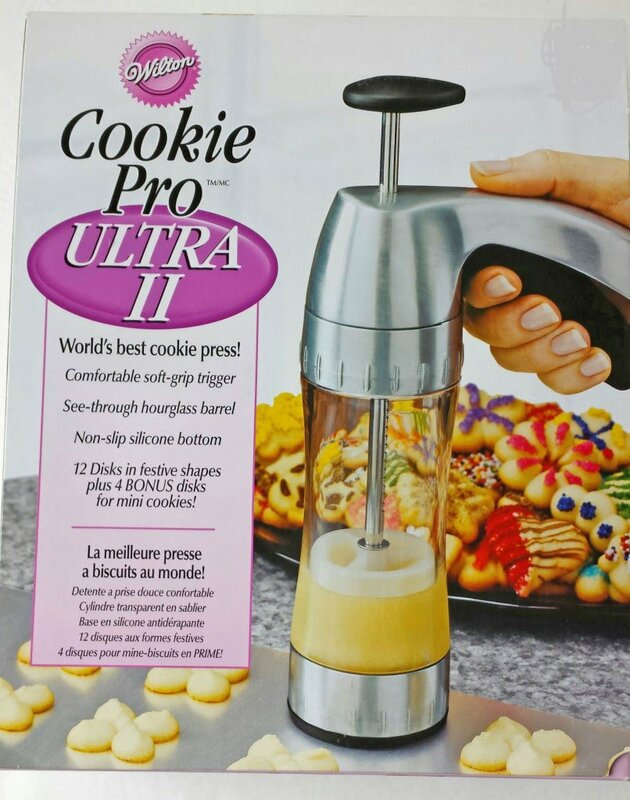 I’ve been using my spritz cookie press for over 10 years now and its still in really good condition. You can purchase the same one here. Thank you for your comment Renee. 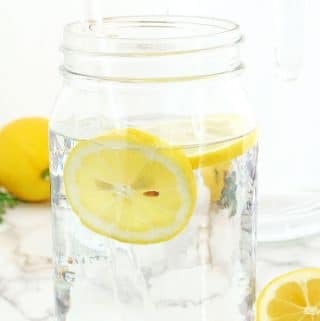 Is this recipe good for storing or freezing? 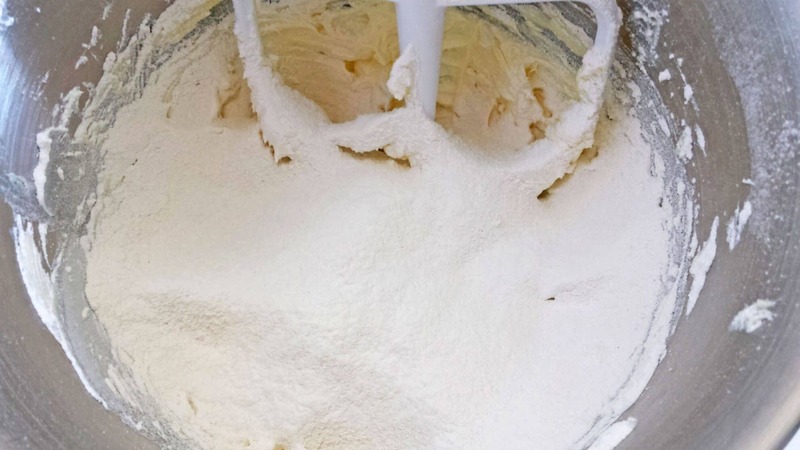 Is it better to freeze the dough and bake later or is it ok to freeze the cookies? 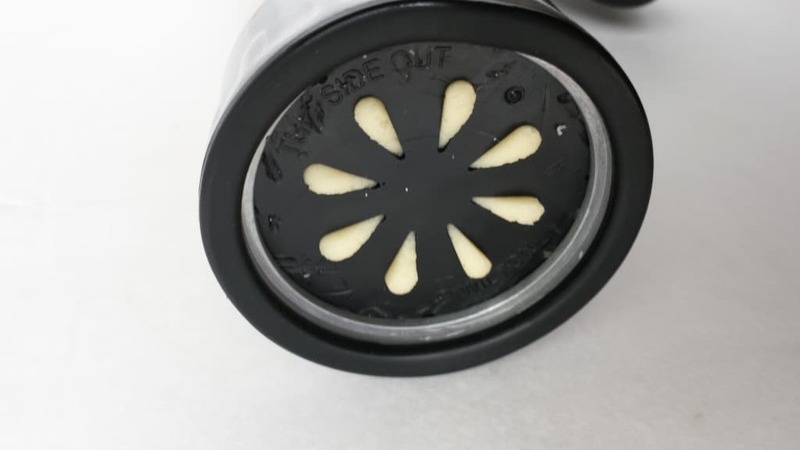 🙂 This is the ONLY dough that I’ve been able to successfully get to work in my cookie press! Thank you! Your recipe is great. Tryied the spritz cookie recipe. I’m glad you liked the recipe. Thank you kindly for your feedback ? These little gems are super easy to make, and fun activity for the kids. I’m getting a new one as well with metal discs, because some of the plastic discs broke (kids use them too often;). Thanks for this wonderful Christmas idea! Shouldnt there be salt in this recipe? This is the first one I’ve read not calling for salt. You can add pinch of salt if you’d like, but it’s not necessary. Salt adds a different taste to recipes and these cookies as well. 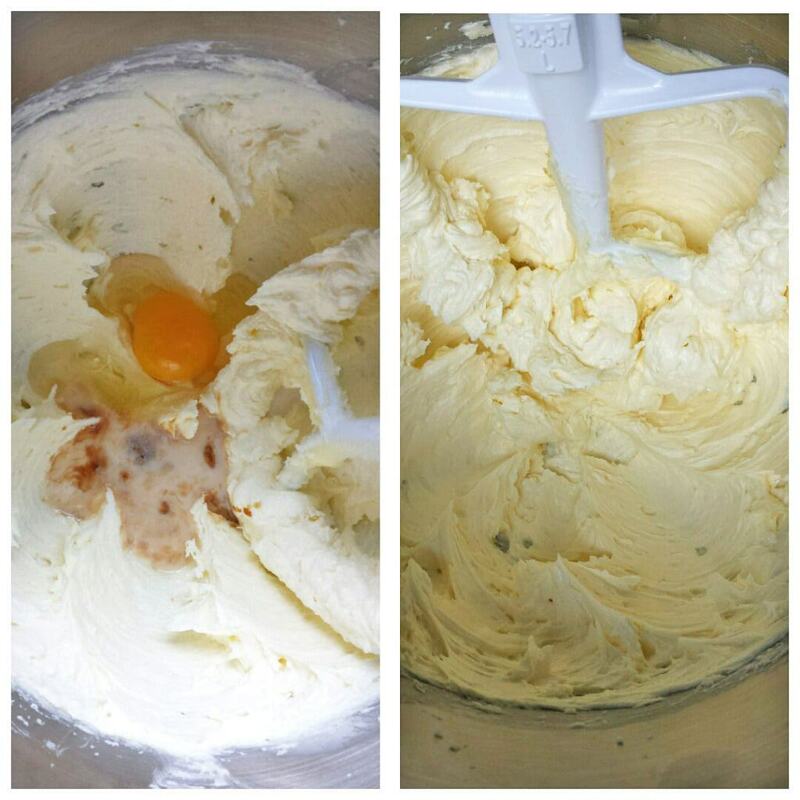 Hi, I am going to try this recipe this year bit the recipe calls for 3 sticks of butter. Would that be 1 1/2 cups of butter? And mine are unsalted should I add any salt? Thank you for your quick response ? 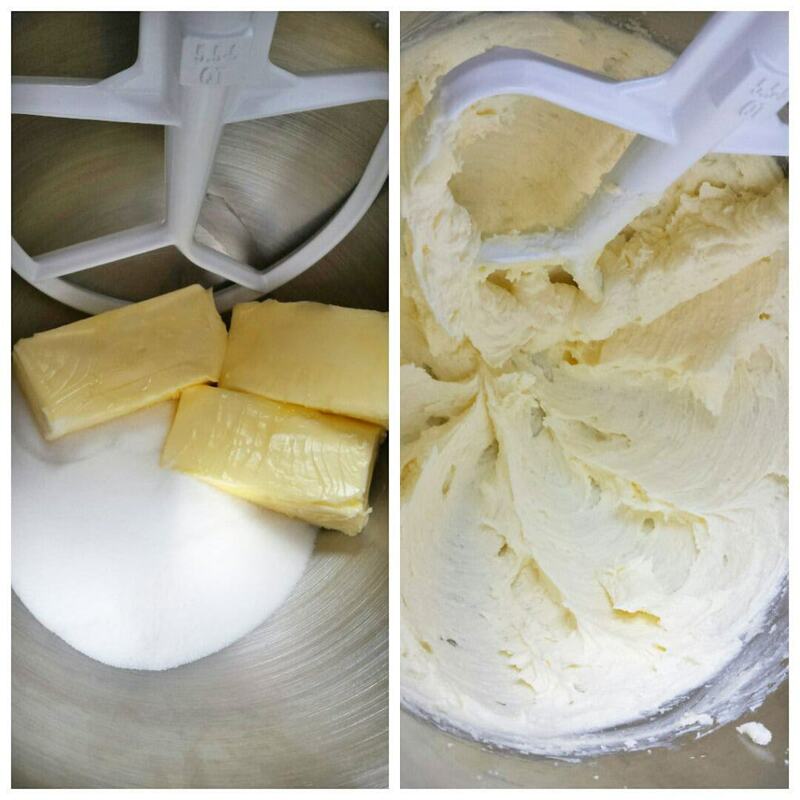 Yes, 3 sticks of butter equals to 1 1/2 cups. You can add a pinch of salt if you’d like. Thank you! I made the recipe yesterday and the cookies came out amazing. I will definitely stick with this one for years! Perfection! Aww…, that is so awesome!!! Im gla to hear that you like the recipe. Thank you for ther review! Have a blessed Holiday season!? So I’ve tried multiple recipes to no avail. Couldn’t get them to stick to the pan- total disaster. I haven’t tried them yet, but the dough is PERFECT and sticking perfectly. Thank you so much, this recipe is amazing!! Hi Samantha! 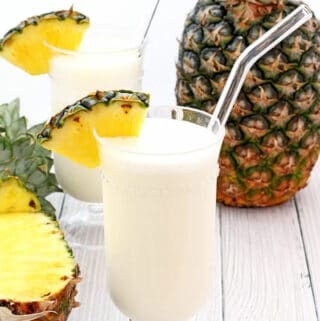 I’m glag to hear that you found the recipe on my website that worked for you. I appreciate you sharing your experience with me! Happy baking, and enjoy the cookies! ? Usually you can’t use parchment with a cookie press. How do you get them to stick? You may or may not use parchment paper if you’d like. Recently I would just simply press them onto ungreased baking pan. I hope this helps. Hi Julia! It’s hard to tell not seeing the process. If the dough not sticking then try not using parchment paper. 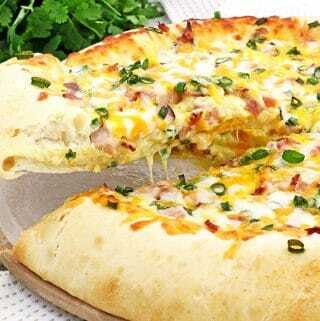 If the dough is not coming out formed then you’re either pressing too much or not enough dough. You just have to play and find that middle so when you press them they stick to the lined pan with parchment paper or not. I’ve tried both ways and it worked for me. Let me know if you have any other questions.